Heidi Dellaire proving that you really can move mountains. It’s almost impossible to turn another year older and not reflect on my life and the specific events and choices I have made that have sculpted me into who I am today. 2. Even though life is hard, there are so many things that make the struggles worth it. What would we ever learn without the hard times? 3. Life can be painful. 4. Pain can be our greatest teacher. Pain gives us a choice, remain stuck in the pain or learn from it and grow. 5. Life can be downright cruel sometimes. 6. Life is filled with lots of little joyous moments. 7. How do we collect the joyous moments and create a happy life out of them? Well, we don’t dwell on the hard. We take in the rainbow that makes us instantly smile. We record in our memory banks the sounds of a child laughing. We memorize the specific color blue that transpires when the ocean meets the sky on the horizon. We take great joy when our loved ones are happy. We breathe in the color green when spring arrives. We notice the flight of the butterfly. We take into our hearts the way our dog gets excited “every single time” we come home. I could go on forever and just end this blog here. The message I want to convey is those small moments of joy are everywhere if we pay attention and want them to enhance our happiness. 8. Some people are amazing. Some people are horrible. 9. Some people are horrible because they carry pain inside of them and the only way they know how to ease their pain is to throw it onto others. 10. Forgiveness will free you. 11. Forgive people. Forgive yourself. We are human. We all falter. Forgive people even if they don’t deserve it. Forgive them so that you can move on. 12. Forgiveness does not mean that you have to keep someone in your life. There are times that you will need to walk away from people for not only yours but their best interests. 13. Comparison is a killer. 14. When we get caught up in comparing ourselves with others, we keep ourselves from developing into who we really are. 16. I believe in my own magic. I believe that people are capable of accomplishing anything they put their hearts and mind to. We are magnificent creators. 17. Some people will have more than you. 18. Some people will have less than you. 19. It doesn’t matter which. 20. Living a life of gratitude makes number 17 and 18 very minute points. 21. Be grateful for what you have. When we are grateful we allow for more to come into our lives. 22. “ Want” is just another word for “lack”. 23. I’ve learned to replace the word “want” with “will”. I will have a loving relationship. I will live a happy life. I will be successful. 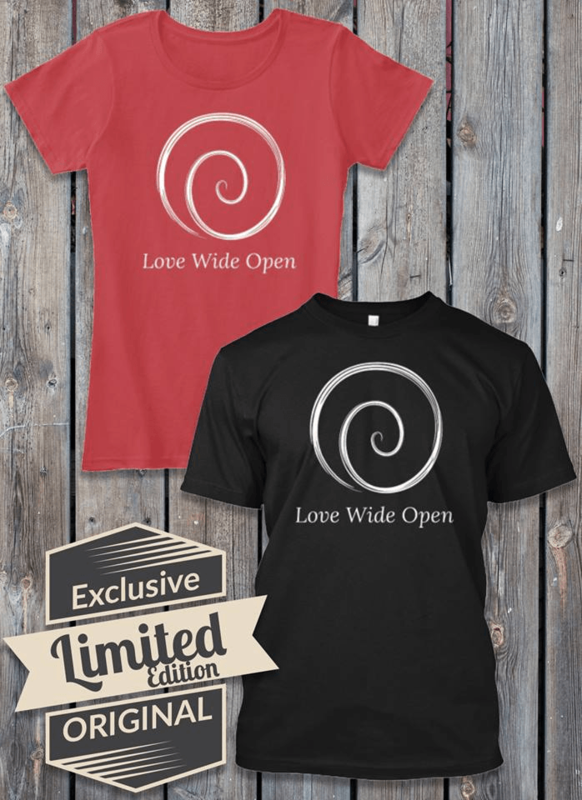 This energetic shift makes a huge difference. 24. There are good forms of selfish and bad forms of selfish. 25. Be selfish in situations where your own self-care is necessary. Putting yourself in a situation that hurts you will…hurt you. 26. Don’t be selfish with your time. People are important. Don’t be selfish when it comes to helping others. Lift people up. It can save a life. 27. Celebrate your and other people’s dreams. 28. Tearing down someone else’s dreams only keeps you stuck and unable to achieve your own. 29. Dreams can come true. 30. We are what we believe we are. If you believe in yourself and celebrate your failures and continue to move forward, you will accomplish more. 32. We take a beating and keep on going. Don’t let life get you down. 33. Pride is overrated. We get further when we ask for help and are willing to receive it. Offer a hand to others. 34. Life will never give us more than we can handle unless we keep our mind stuck on the problem or situation. 35. Tell people you love them. 36. Love can cure anything. Care about yourself. Care about people. Let them know how amazing they are. Know how amazing you are. 37. Time is an illusion. 38. Time is fast. Time is slow. 39. Time really can heal some things.40. Actions do speak louder than words. 41. Words still have the power to lift or destroy. When we use words in hateful ways, that IS an action. 42. It is often more important to understand than to be right. 43. The need to be right, all the time, keeps you from learning new things or seeing different perspectives. 45. Kindness matters a lot. 46. Love people for their similarities and their differences. Love animals. Love nature. Love our Earth. 47. Love has been the answer to every dilemma of mine for the last 47 years. I’m sure it will continue to be the same for another 47. I am curious what number 48 will be when my birthday rolls around next year. 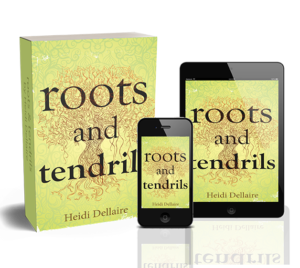 Heidi is also the author of Roots and Tendrils available for purchase on Amazon in both print and ebook. 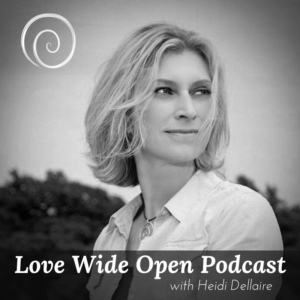 Roots and Tendrils by Heidi Dellaire, the managing and publishing editor of Love Wide Open.